On May 11, 2018, about 2019 mountain daylight time, a Cirrus Design Corporation SR22 airplane, N507TX, impacted terrain near Lone Tree, Colorado. The private pilot was fatally injured. The airplane was destroyed. The personal flight was conducted under the provisions of Title 14 Code of Federal Regulations Part 91. Visual meteorological conditions prevailed and no Federal Aviation Administration (FAA) flight plan had been filed for the flight. The airplane had just departed from Centennial Airport (APA), Denver, Colorado, and was en route to Grand Junction Regional Airport (GJT), Grand Junction, Colorado. According to a preliminary review of air traffic control recordings and radar data, the airplane was cleared for a left downwind departure from runway 35R (10,000 ft by 100 ft; asphalt) about 2011. The controller asked the pilot to remain west of the final approach path for runway 35R, due to inbound traffic. Radar data showed the airplane turn left for the downwind departure and fly to the south. Initially the airplane was west of the center line, but then started a left turn, towards the center line of the approach corridor, at an altitude of 6,900 ft mean sea level (msl). The airplane flew through the center line, and the controller asked the pilot to remain east of the center line. The controller asked the pilot his intentions and the pilot requested to return to the airport. Radar data showed the airplane westbound, towards the center line at an altitude of 7,500 ft msl. Radar contact and voice communications was lost approximately 2019. 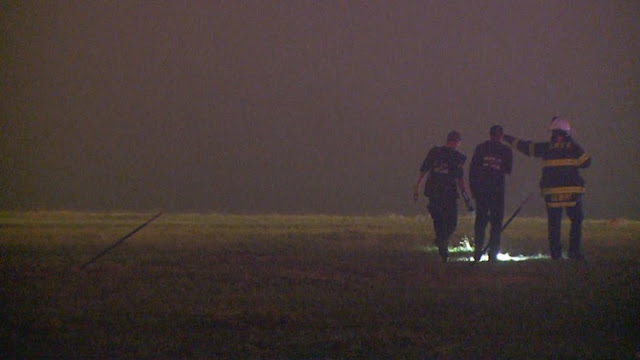 The airplane impacted an open field 2.5 miles south, southwest of the approach end of runway 35R. Witness marks at the initial impact point are consistent with a right wing low, nose level attitude at the time of impact. 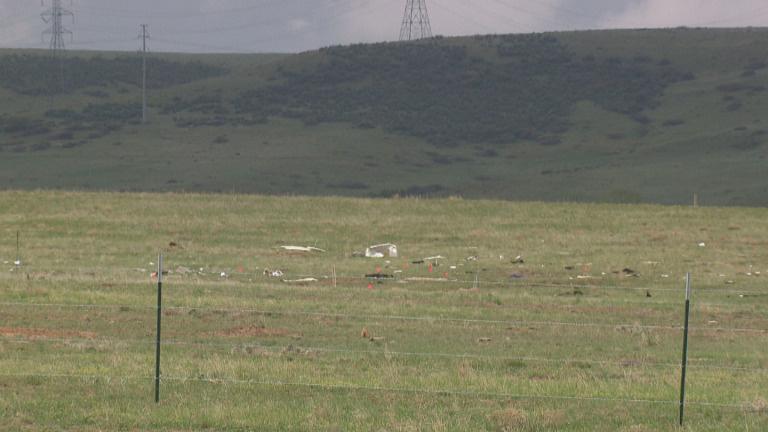 The airplane was fragmented and debris was scattered for 1,219 feet. The engine of the airplane came to rest in the wall of a residential home. The closest official weather observation station was APA, located 2.5 nautical miles (nm) north northwest of the accident site. The elevation of the weather observation station was 5,885 ft msl. The routine aviation weather report (METAR) for APA, issued at 1953, reported, wind 350 degrees at 14 knots, gusting to 21 knots, visibility 7 miles, sky condition, 1,500 ft broken, 10,000 ft overcast, temperature 15 degrees Celsius (C), dew point temperature 12 degrees C, altimeter 29.82 inches of mercury. Another airplane, flying the instrument landing system (ILS) approach to runway 35R, reported breaking out of the clouds at 6,800 ft msl. Dr. Robert D. Marquis III, 67, of Glade Park, CO, died Friday, May 11, while piloting his small aircraft near Denver. Dr. Marquis was a beloved family man and dedicated veterinarian. He was born June 14, 1950, in Ames, Iowa, to Marine Corps Captain Robert D. Marquis, Jr. and Marjorie Marquis. "Bobby" Marquis grew up in Kansas City, graduating from Southwest High School in 1968, where he played quarterback on the football team. He earned his degree in Veterinary Medicine from the University of Missouri in 1978. Dr. Marquis then practiced large and small animal medicine in New York, Vermont, Missouri, and Kansas. 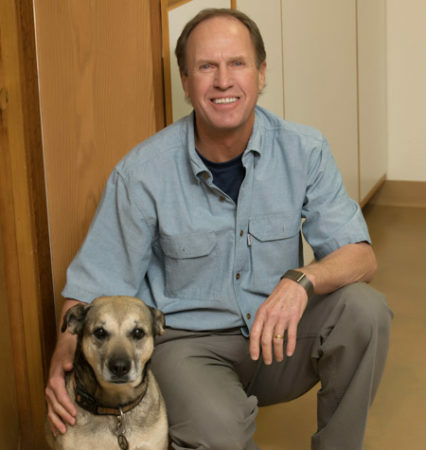 He established Tiara Rado Animal Hospital in Grand Junction in 1983. There he created an innovative and successful veterinary practice, which provided care for countless clients and their pets. His employees were not his team, they were part of his family. He was known for his easy-going spirit, generosity, and compassion, "Dr. Bob," as many like to call him, was an experienced pilot who loved to fly, an avid woodworker, an outdoorsman, and favorite fishing partner. Fate was at hand in 2002 when Bob was referred by his physician to Burdette for an ultrasound exam. She was immediately taken by his sweet and humorous nature. Bob maintains that the first time he heard "Birdie's" name, something resounded inside of him and he knew she was the one he would spend the rest of his life with. They experienced many adventures flying into remote mountain airstrips, camping, and fly-fishing. Their's is a love that many hope for, but few are blessed to experience. 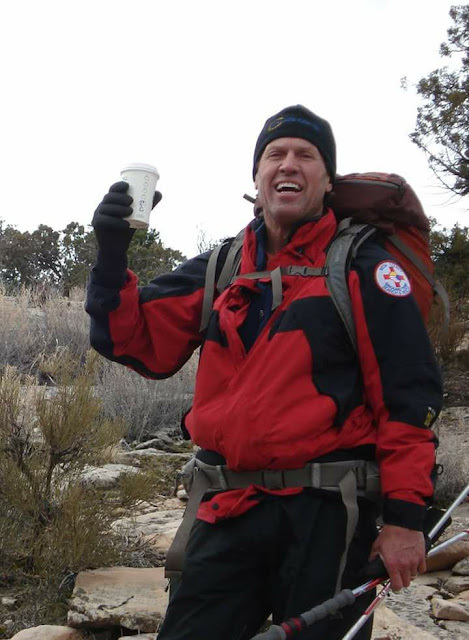 Bob served on many missions with the Mesa County Search and Rescue Team of which he was a volunteer. The comradery he shared with his fellow teammates meant much to him. Described by an old friend as a "fine person," he will be greatly missed by his family, friends, clients, and colleagues who will cherish his memories for a very long time. Dr. Marquis is survived by his beloved wife, Burdette; son, Zach Marquis (Kelli) of Gunnison, CO; step-daughter, Jody Greager of Meeker, CO; three adored grandchildren, Cade Greager (12), Cecelia Marquis (3), and Virgill Marquis (2); his brother, Van B. Marquis of Kansas City, KS; his sister, Elizabeth A. Marquis of Chicago, IL; as well as his dog, Enzo, who accompanied Dr. Marquis everywhere, including work. A memorial service will be held Saturday, May 19, 11:00 a.m. at The Church of Jesus Christ of Latter Day Saints located at 2542 G Road, Grand Junction, CO. In honor of Dr. Bob, "The Marquis Miracle" fund has been set up to assist pet owners who may not be able to afford medical care for their pets. Donations can be made to any Alpine Bank or in person at Tiara Rado Animal Hospital. 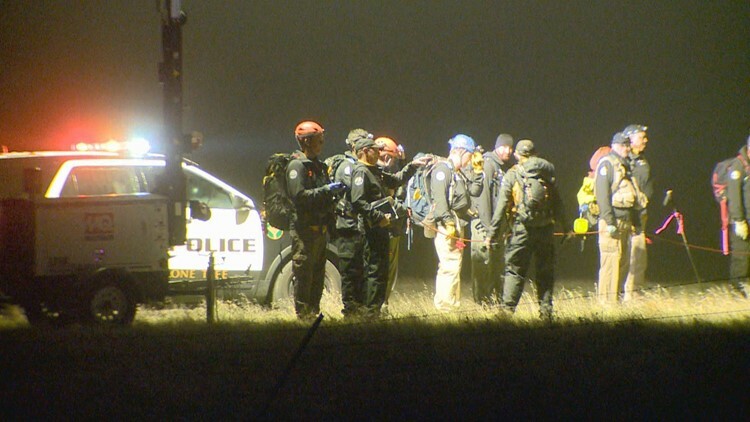 PARKER, Colo. — The Douglas County Coroner has identified the pilot in Friday night's deadly plane crash as Robert Marquis, 67, of Glade Park. 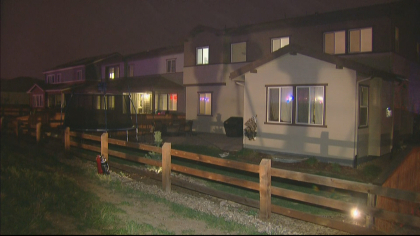 Marquis was piloting a Cirrus SR22 when it crashed near in a neighborhood near Parker Friday night. South Metro Fire officials said his plane took off from Centennial Airport at 8:12 p.m. and disappeared from radar 11 minutes later. The FAA told Denver7 that shortly after departing, the pilot indicated he wanted to return to the airport, though Marquis did not say why he wanted to return. The plane crashed about three miles south of the airport, leaving a large debris field in open space near a Parker neighborhood. 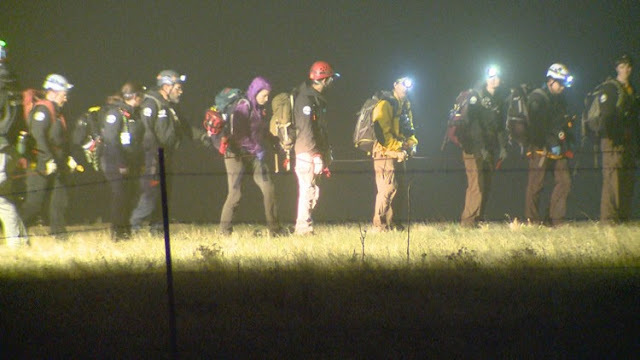 South Metro Fire crews were searching for additional passengers late Friday night. Teams were performing a grid search of the debris field. But it was later learned the pilot was the only person on board. 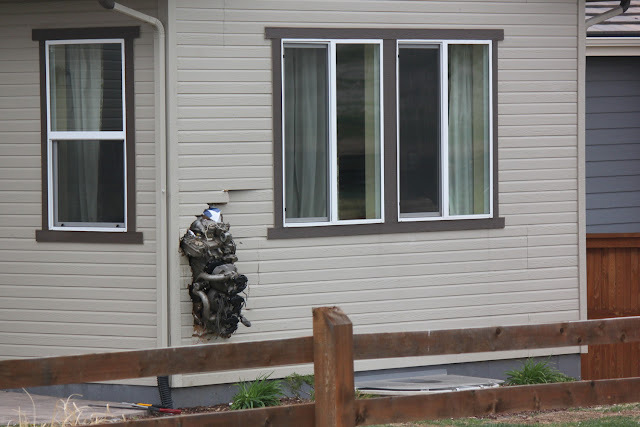 An occupied home in the 11000 block of Pastel Point in Parker was struck by the plane’s engine. 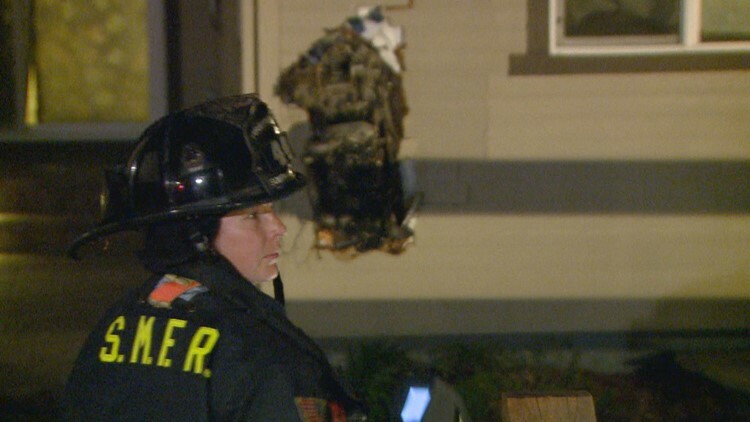 "There's about half of the engine inside of the house," homeowner, Amy Webb told Denver7. 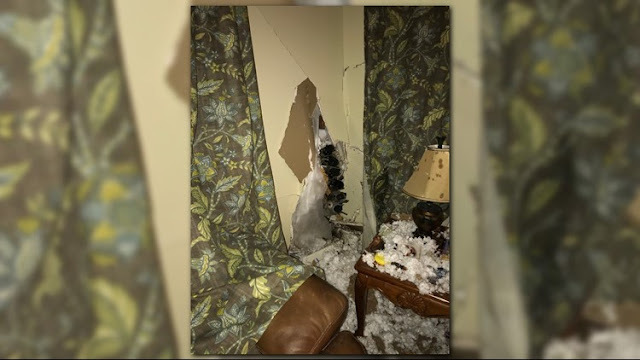 Insulation from behind her living room walls was spread across her family's living room. Pictures showed cracks running from the floor to the ceiling. "I'm just grateful and lucky that it went through the wall instead of through the window," she said. Webb said she was home with two of her five daughters when the engine hit. 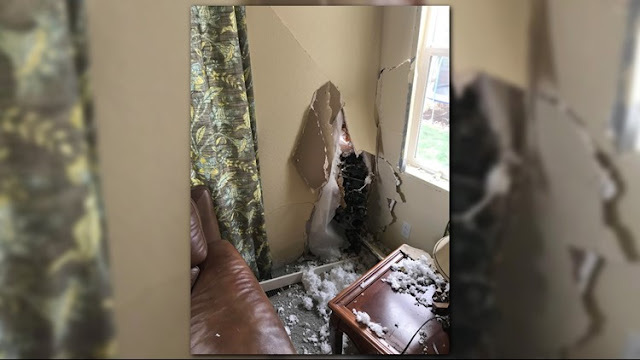 She described doing the dishes and listening to music when she first heard a loud noise. 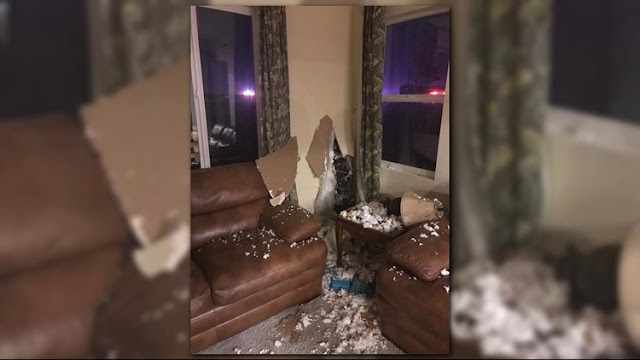 "As soon as I turned off the music, there was a huge explosion," she said. 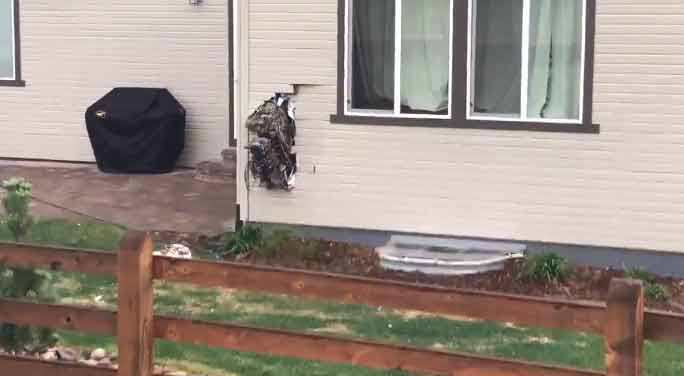 "And something came — flew into the back of our house." The plane's engine flew across several acres of empty field. 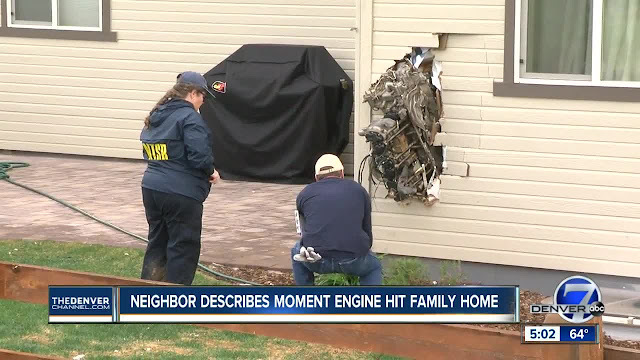 NTSB Senior Air Safety Investigator, Dr. Jennifer Rodi explained, "The engine being the heaviest part of the airplane will travel the farthest during an impact sequence where we have separation." 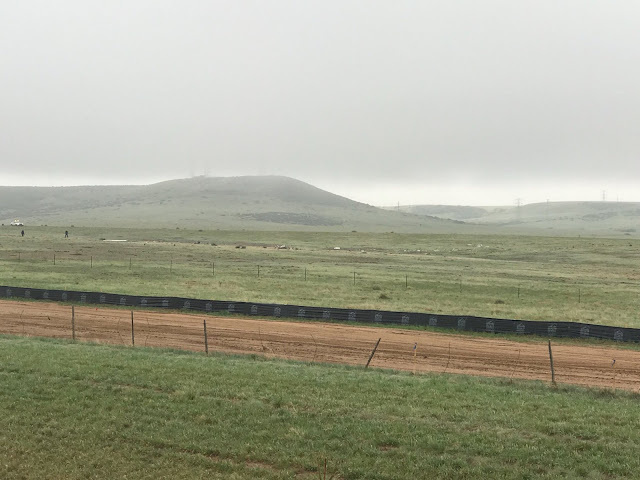 Denver7 cameras weren't allowed beyond a barbed wire fence, but the Douglas County Sheriff's Office launched a drone to get a bird's eye view of the three to four-acre crash site. "To have this extensive of a debris field, we had to have a lot of energy which is provided by the engine," Dr. Rodi said. Amy Webb said the unexpected damage would be repaired with time, but said the real tragedy is the pilot's death. "I can't imagine. I mean, that is just so tragic," she said. She told Denver7 she grabbed her kids and ran outside. 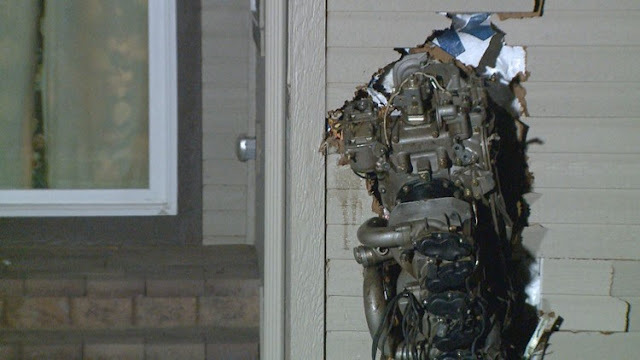 She then realized an airplane engine had crashed into her home and called 911. No residents were injured. The cause of the crash is still unknown. 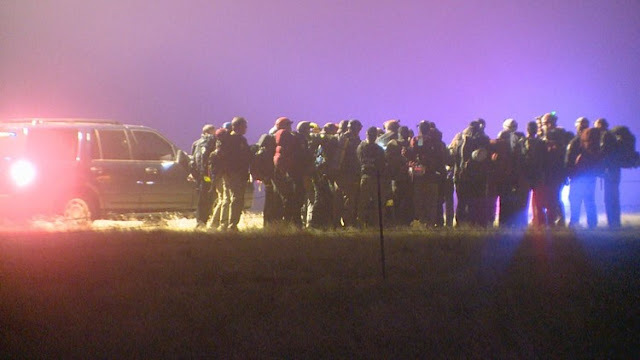 Officials from the National Transportation Safety Board are investigating. During a press briefing Saturday, NTSB investigators said they would be looking at three things: man, machine, and environment. 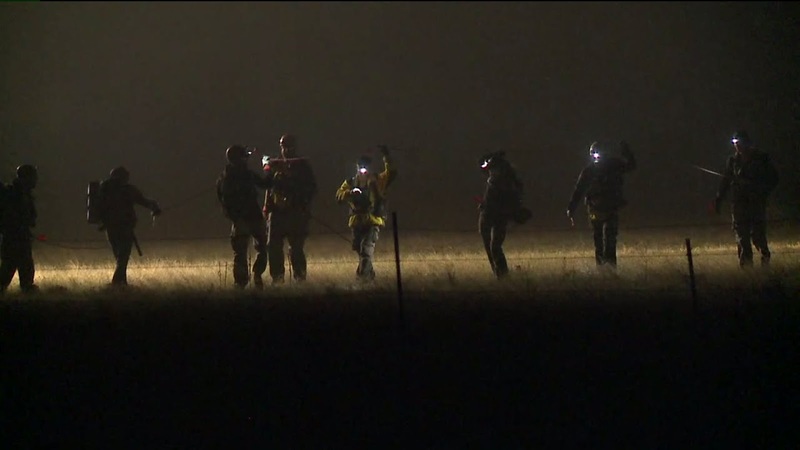 Investigators said the aircraft's parachute system was not deployed. The investigation can take up to 18 months, officials said. 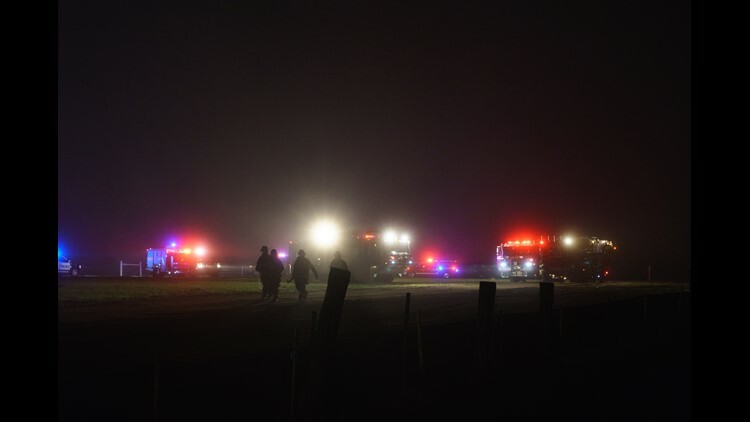 The Douglas County Coroner’s Office has identified the pilot killed in Friday night’s plane crash in a neighborhood near Parker. 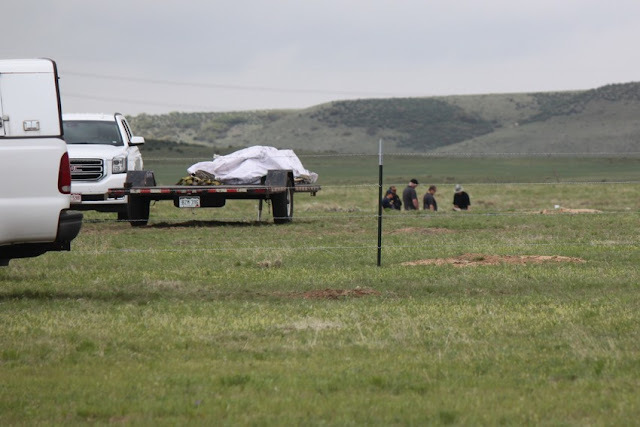 Robert Marquis, 67, of Glade Park, Colorado, was the only one on board the Cirrus SR22 plane when it crashed just south of Centennial Airport. Marquis was a member of the Mesa County Search and Rescue Ground Team, according to a post on the group's Facebook page. Marquis was a veterinarian and started Tiara Rado Animal Hospital in Grand Junction in 1983. The hospital posted a heartfelt message to Dr. Marquis on its Facebook page Saturday afternoon. 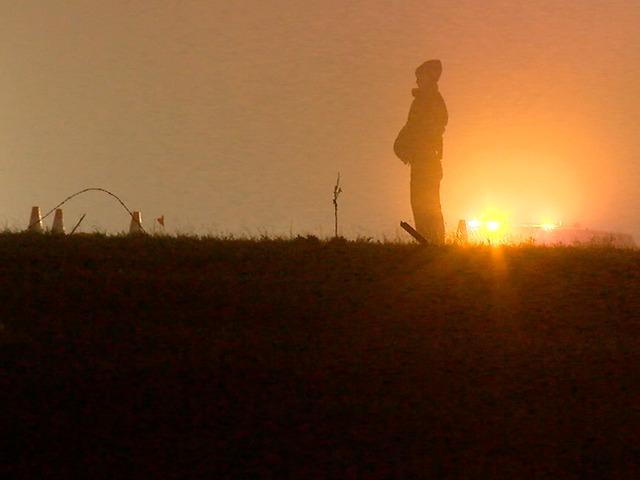 South Metro Fire spokesperson Eric Hurst says the plane left the airport at 8:12 p.m., and about ten minutes later it went off the radar. 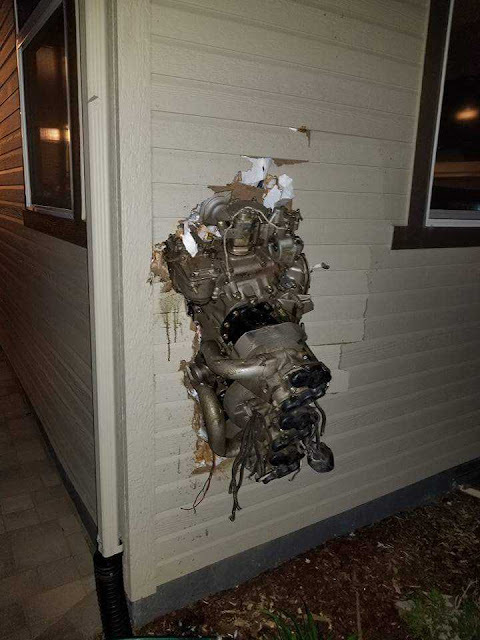 The impact of the crash caused the plane’s engine to get lodged into the side of a nearby home. 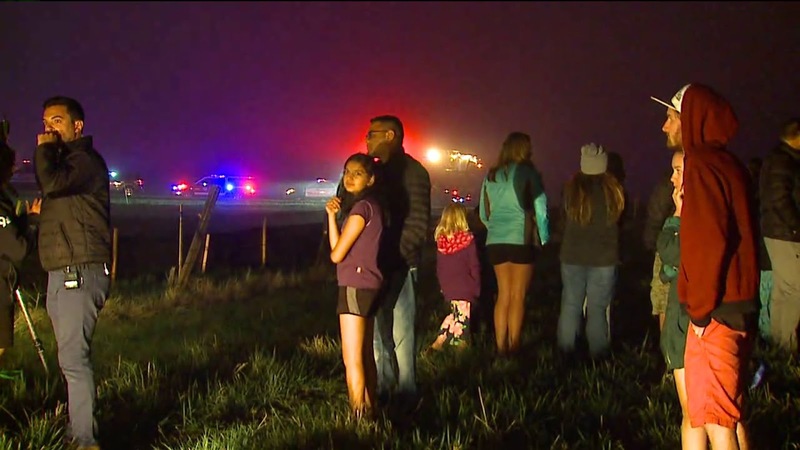 An NTSB spokesperson says debris from the wreckage also indicates that the plane was heading east to west before it went down. 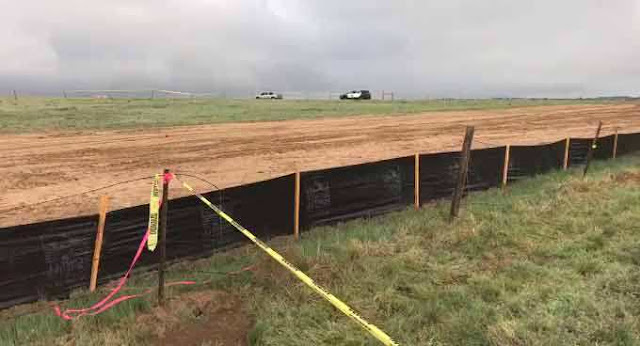 The Lone Tree Police Department continues to assist the NTSB and FAA in the crash investigation. A Douglas County homeowner says she heard a loud explosion Friday night before walking outside to find a plane’s engine lodged into the side of her home. 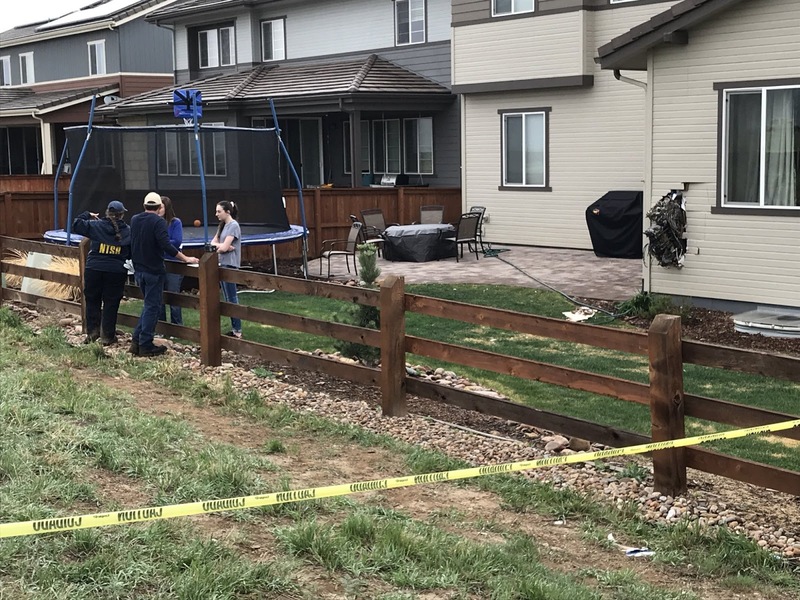 Amy Webb lives in the neighborhood just south of Centennial Airport where a small plane went down, killing the pilot and prompting a search for any other possible victims. The FAA later reported that the pilot was the only person on board. Webb says she was listening to music when she heard a loud noise. She turned her music off, and heard an even louder explosion. 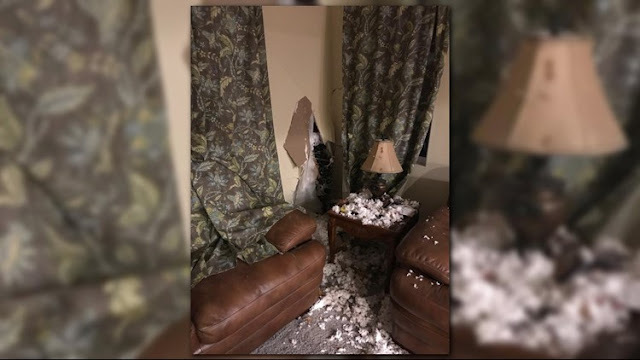 The impact from the engine hitting her home sent debris into her living room, but luckily no one inside was injured. NTSB believes the engine that ended up in her home was still attached to the plane when the crash occurred. 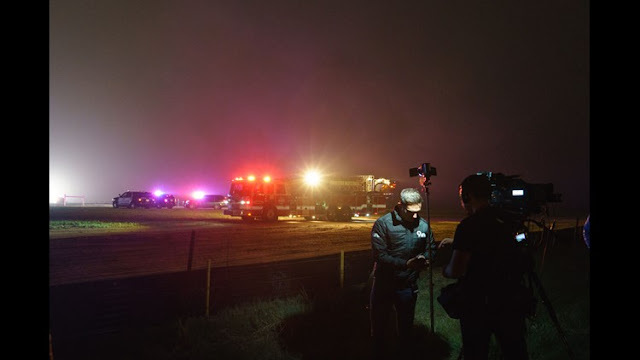 Debris from the crash indicates that the plane was heading east to west before it went down, an NTSB spokesperson said in a press conference Saturday morning. 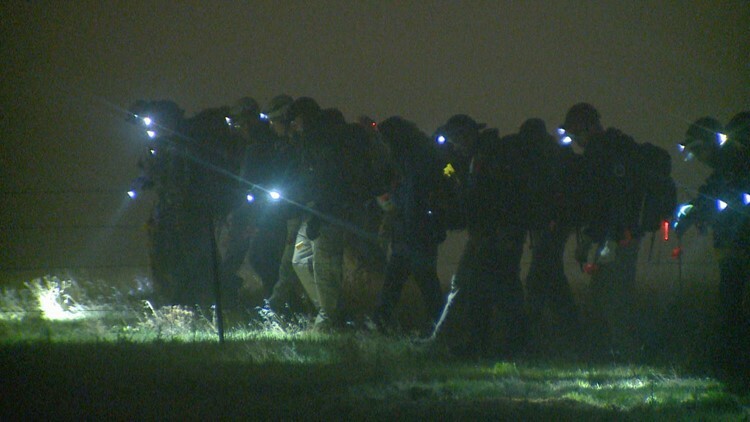 NTBS also said the plane had a parachute system but it was not deployed. Details regarding the flight of the plane are still being investigated, with a preliminary report of the crash expected to be available sometime next week. A recovery team with NTSB is expected to arrive at the crash location at about noon on Saturday. 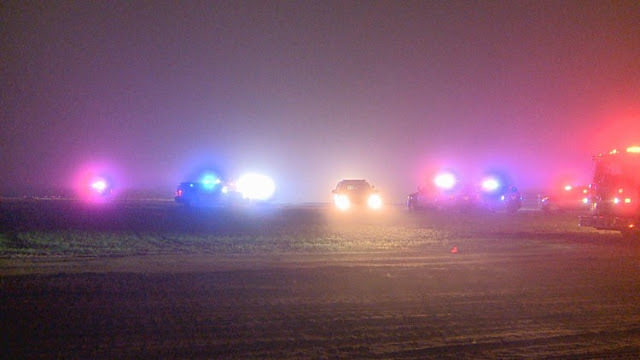 One person died when a small plane went down near a neighborhood in Douglas County on Friday night. 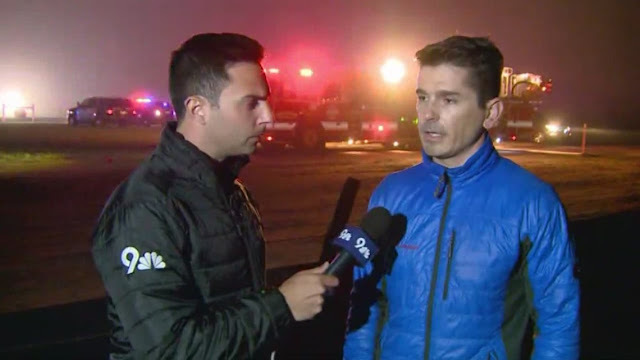 Centennial Airport contacted South Metro Fire at 8:23 p.m. to report a plane went off the radar, according to South Metro spokesperson Eric Hurst. 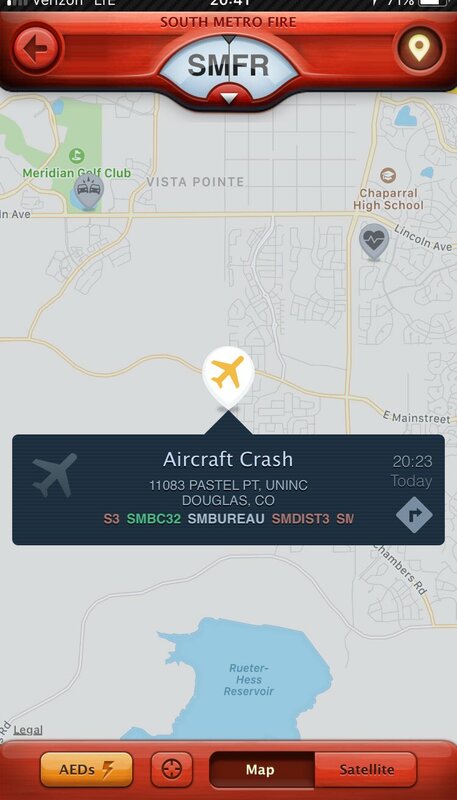 Hurst says the plane took off at 8:12 from the airport, which is just north of the crash scene at 11083 Pastel Point, near Parker. Details regarding the flight of the plane are still being investigated. Hurst called this a high-speed impact crash. The plane, a Cirrus SR22, seats four to five people. The FAA reported that the pilot was the only person on board after crews searched through debris in the open space behind the Stepping Stone subdivision to look for any other possible victims. 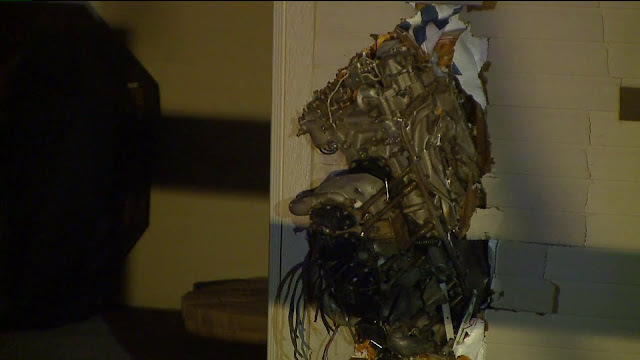 One large piece of debris fell from the plane and became wedged in the living room wall of a house, Hurst said. Someone was home and in the kitchen at the time. That person wasn't hurt. Hurst told 9NEWS that the neighborhood is safe. There has not been a fire, and there is no reason to evacuate. Several agencies are responding to this crash, including NTSB. According to the Cirrus Aircraft website, this is a single-engine plane with a 38-foot wingspan. It is equipped with a Cirrus Airframe Parachute System (CAPS), but the parachute cannot launch unless the plane is at the proper elevation. Given that the plane had only been in the air about 10 minutes, 9NEWS aviation expert Greg Feith does not think the plane had sufficient altitude to use the parachute. The first part of the investigation will involve mapping the wreckage to determine if there was a mechanical malfunction, Feith says. The results of that investigation will not be available for some time, but there is a chance weather could have been a factor. The National Weather Service says there was only a half-mile to a mile of visibility around the airport because of fog and mist. The city of Lone Tree reports that RideGate Parkway east of I-25 is closed. South Metro Firefighters are responding to a plane crash that caused damage to a home between Parker and Lone Tree in Douglas County. Firefighters said at least one person is dead, there were no survivors and there is a large debris field in the area. Photos from the scene appear to show a part of an engine lodged into the side of the side of a home in the area. 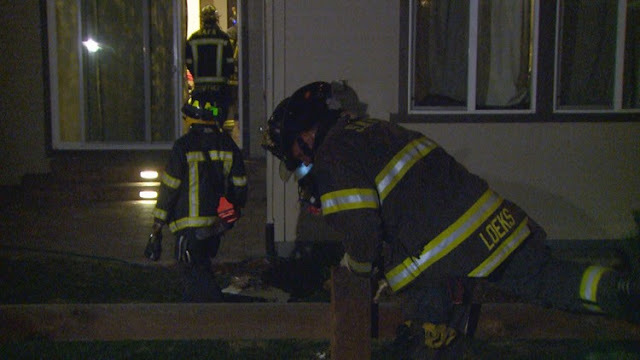 Firefighters said people were inside the home when the crash happened, but no one inside was hurt. Firefighters said the plane that went down was an Cirrus SR22, which is a small propeller plane that can seat about four to five people. Firefighters said they don't yet know how many people were on board. Firefighters said there was no fire from the crash, and crews are searching for additional passengers. 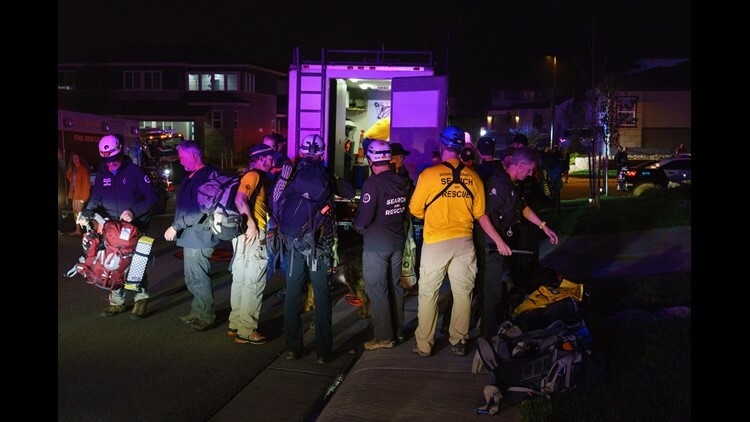 The plane reportedly took off from the Centennial Airport at 8:12 p.m. and then dropped off of radar at 8:23 p.m. That is when the airport contacted South Metro Fire, and the wreckage was located at 8:30 p.m. 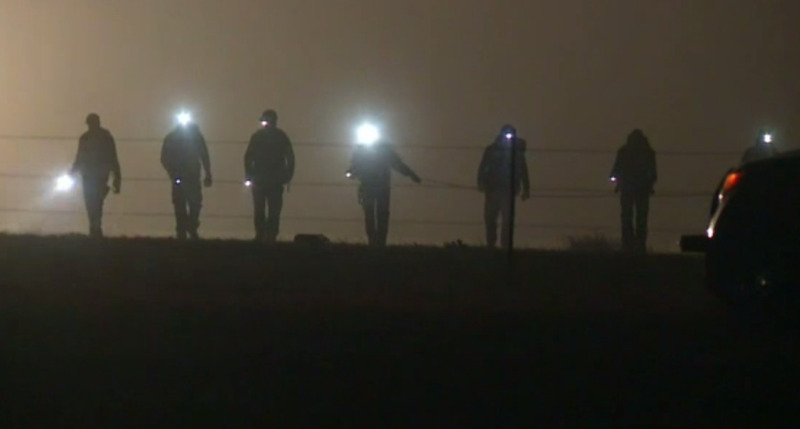 Details of the flight path of the plane have not been released. Douglas County Search and Rescue is expected to launch a drone as part of the search of the area. Crews expect to remain on scene throughout the night as they search in what they are calling a "grid like pattern" for any sign of additional passengers. SAD. Why fly at night in the fog if you don't have to. Why didn't he pull the handle? He took a risky flight and than didn't use the built in escape. 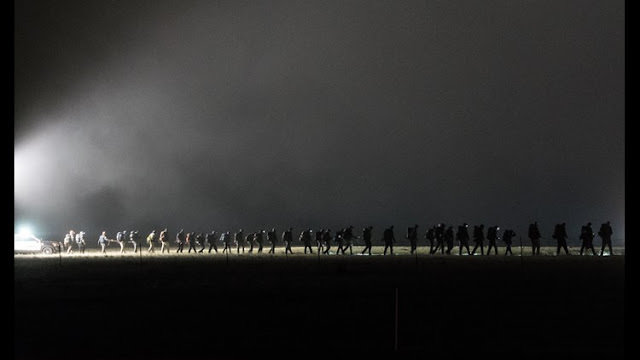 Could have been spacial disorientation once he went into the thick fog/clouds, once he started turning. This happens if someone is not instrument rated or if he has not practiced instrument flying or just not recently. The report says he was turning back towards the airport, perhaps in an effort to get back to visual conditions if nothing was wrong, or, if there was engine trouble. With the crash site at 3 miles from the airport, his altitude should have been high enough to return to the airport even if he lost his engine, as even at 1000 ft/minute climb (The Cirrus climbs much faster than that) he should have been at ~3000 feet above ground after ~2 miles in the Cirrus. Instead, he likely spiraled into the ground at a high rate. Very sad, sorry, and prayers for all those who knew him and his family. The pilot obtained his instrument rating in 2006. Question is was he proficient in IMC or was that the reason for wanting to return to the airport? I agree with the previous post that he encountered spatial disorientation and lost control of the plane and impacted the ground at a high speed. Not so sure the parachute would have saved him as I've heard if deployed above 130 knots they break loose from the airframe. SAD. Very unfortunate for all involved. Listening to ATC he continued to turn opposite instructions even after confirming them. i.e. "...remain west" but then turned east. Now "...remain east" but turned north then west. Possible that he was not using his heading indicator, and was reversed in his mind as to what direction he was headed. As mentioned by others, he likely flew into IMC and got spatially disoriented as he was trying to sort this out in his mind. He never got above pattern altitude on departure. Reported by ATC at 6800. 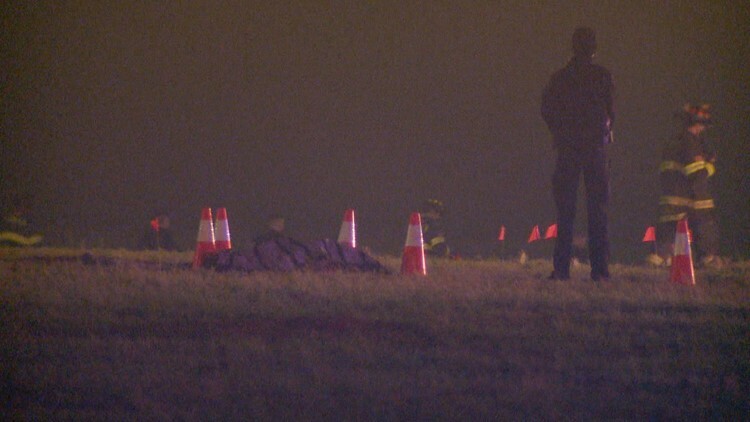 Site where he crashed was ~6400. You can lose 400 feet pretty quickly in that situation. The biggest mystery in my mind is what his plans were on departure with no IFR flight plan and the entire area with low ceilings and fog moving in. I flew into KAPA just a few hours before then and clouds were building at that time and continued to worsen throughout the day. "The plane's engine flew across several acres of empty field"
Literally! Wow. Notice the fence that thing flew over isn't broken. Thank God that thing did not go thru a window! Also... why go up into low ceilings at night??? It simply makes no sense. Would like to see the toxicology report on this one. Wonder why he did not use the autopilot? Isn’t an A/P standard on SR22. Maybe inop? He had about 1600 altitude at last report; plenty to pull the chute. He just did not believe he needed it, but was lost or disoriented. Sad.